Karnapidasana is made up from the combination of karna+pida+Asana, in which ‘Karna’ means Ear , ‘Pida’ means pain and Asana means to seat, pose or posture.This Asana is also known as Raja Halasana (king plow pose). The Karnapidasana is referring to be very effective pose which can help in kick out all the problems related to ear. We can say this is the advance level of halasana and Sarvangasana. You have to first master in halasana (plough pose) and Sarvangasana (shoulder stand pose) after that attempt this yoga pose of Karnapidasana. This Karnapidasana yoga posture is a total expansion of the spine, permitting the therapeutic liquids to wash every vertebra. Karnapidasana (Knee to Ear) Yoga Pose is a advance level of the Plow Pose (Halasana), the length from the knees to the toes is parallel to the ground. The skull turns into the foundation of the stance and takes into account a tender stretch of the neck. In Karnapidasana yoga first lie down on the floor on your back in resting position, and your arms should be placed in resting pose at the sides. Your legs should be straight in front of you. Inhale and keep down your palms in the floor. Now raise your legs in the air and try to exhale. Try to keep your legs erect in the air. (Ardha halasana position, your legs should straight at 90 degree in the air). Now try to place your legs over your head. 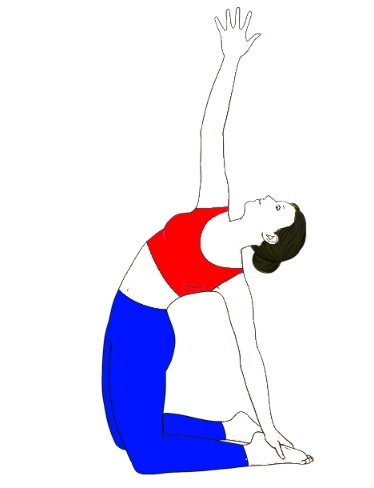 (Full halasana pose). Now try to lift up your butts and try to bend your legs over the head. (Bend or press your knee into the floor by your upper arms just near to ear., and try to press and place them just near to ear). Your arms should be parallel to our body. For supporting your hips try to lift up your hands and keep them under your lower back. Try to grab your bend knees together. After that put down your knees and take a deep breath. Now lift up your butts and keep down your knees. By this you will be able to placing yourself in an ear pressure posture. After that open your bend knees and keep them on the ground. Now keep your legs on the ground and try to stretch your arms in parallel pose. 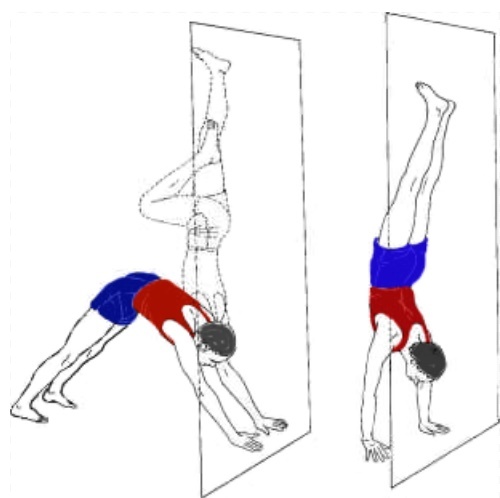 Keep in your mind to place your palms open over the floor facing towards the ceiling. 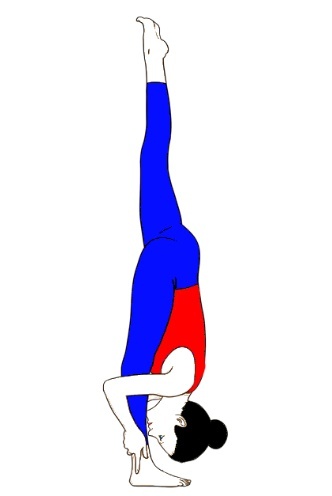 Hold this position for around 6 to 8 breathes. At last keep down your arms in the floor and get back in the initial position and rest for a minute and repeat the process about 3 to 5 times. (Breathe out from The Plow, discharging the knees to both sides of the head and indicating the toes. With your toes on the floor, lift your top thighs and tail bone toward the roof and draw your inward crotches profound into the pelvis. Envision that your middle is swinging from the stature of your crotches. Keep on drawing your button far from your sternum and relax your throat. To develop the posture, extend your arms along the length of the lower legs, then twist the lower arms behind the thighs and intertwine the fingers. Unwind here for no less than 30 seconds rehearsing profound relaxing). Karnapidasana Stretches and strengthens your back bone. Gives strength to the lungs and beneficial for asthma patients. Stimulates the abdominal organs, and thyroid gland. Stretches the shoulders and spine. Reduce the symptoms of menopause. Karnapidasana Helps to alleviate fatigue, stress, insomnia, and negative symptoms of menopause. Helpful in backache, infertility, sinusitis. Karnapidasana yoga posture gives deeper spinal flexion and an intense stretch of the hips. Good pose for internal abdominal massage to the organs. Karnapidasana tones the buttocks, hips and thighs during stretching the shoulders and neck.